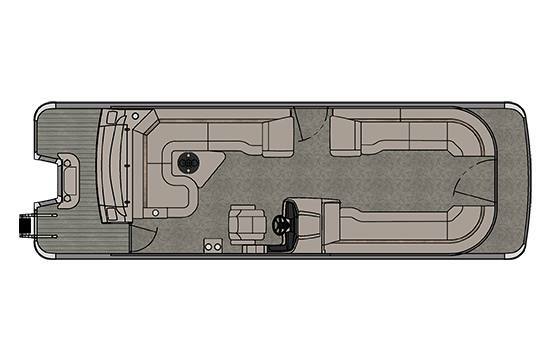 Cascade Platinum RJ provides maximum seating area for large families or entertaining with its extra long side bench and conversation nook with removable lounge insert. 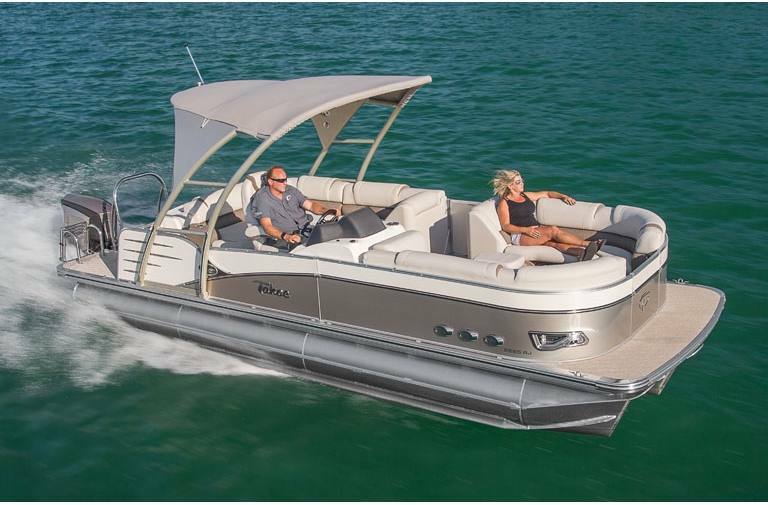 The RJ is a Sleek industry leading top end model featuring a two tone wall design, LED accent docklights and blue glowing external lighted air vents that make it stand out among the crowd. 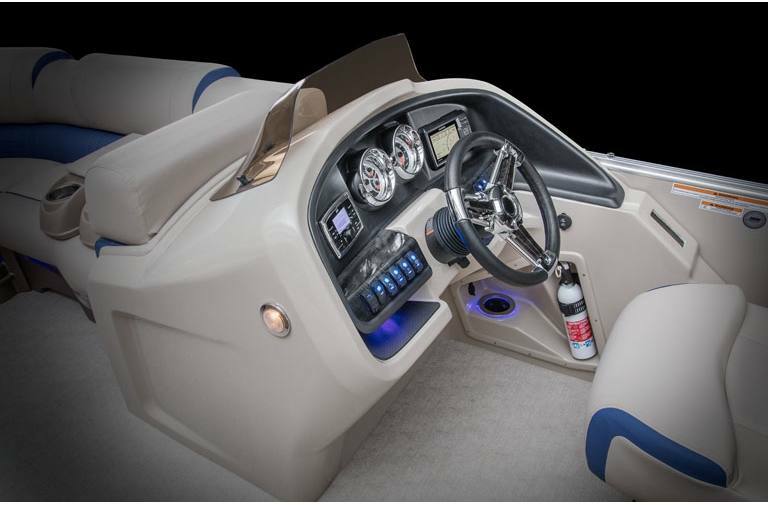 The helmstand with deep footwells features a woodgrain dash including Garmin color fish finder and depth finder. The powerful infinity Bluetooth stereo, & lighted speakers with SST covers provides exciting high quality sound. 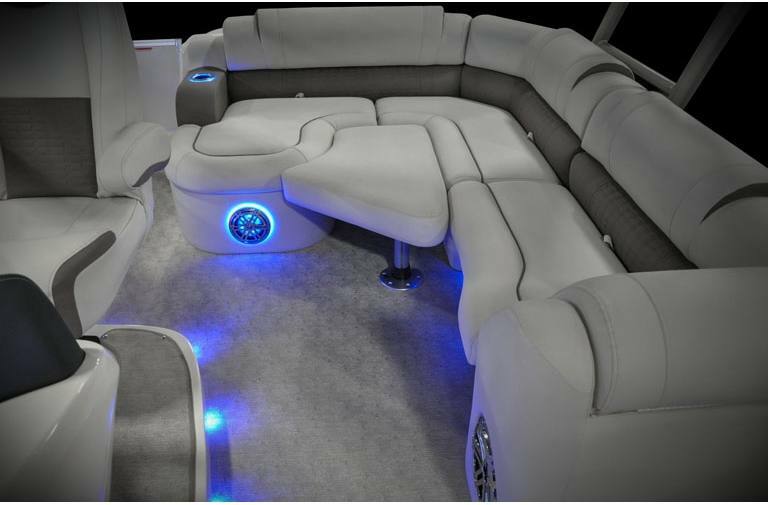 The interior blue moodlights and lighted cup holders will delightfully provide the ambiance around Cascade Platinum's Plush interior which features a high back reclining Admiral's chair & smoked glass table, along with designer inspired multi textured bench seating made with the industry's thickest Matrix 50 soft touch vinyl and soft suspension seat cushions that never bottom out. 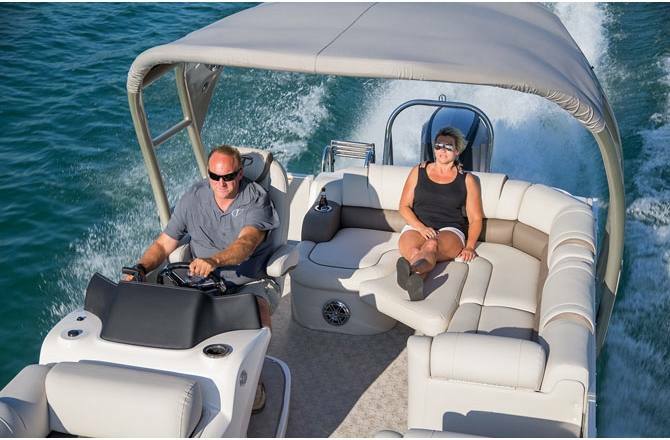 All furnishings are mounted on the world's only aluminum lifetime seat frames with high class seat base cladding and featuring interior and exterior under seat ventilation system with lighted vents.